Description: From Edgar Award-winning author Ruth Rendell, quiet, pretty Mary Jago could never have suspected that a series of unspeakable murders in the park contained threads that tangled around her simple, ordinary life. 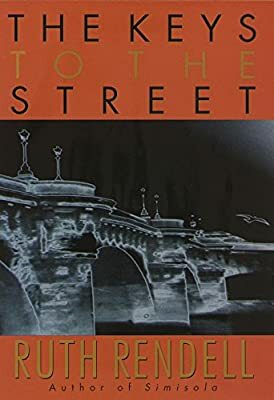 Set near London's Regent's Park, where the city's wealthiest, poorest, kindest, and most vicious citizens all cross paths, The Keys to the Street reminds us how interconnected life can be and how we're often surrounded by people that we fail to see. Mary generously donates her bone marrow to save the life of a young man she doesn't know, which will change her life forever. It leads to her bitter break up with Alistair and then to a relationship with the young man whose life she saved, Leo Nash. But when the homeless who seek refuge in the park start turning up murdered and impaled on the spiked railings that surround it, Mary is closer to danger than she ever could have imagined.